Happy Monday! I always enjoy reading this kind of post from my favorite bloggers, so I thought I’d share a few things I’m currently loving with you today. Ready? Singing: Five More Minutes by Scotty McCreery – this song gets in my head and I find myself singing it all day long, and then pausing to enjoy the moment! 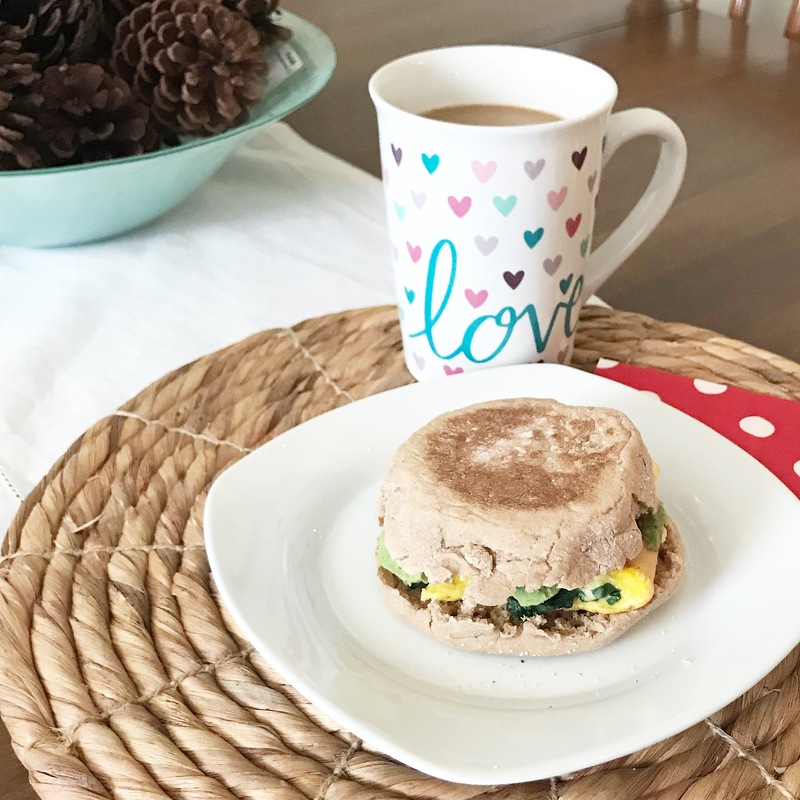 Eating: Breakfast Sandwiches – my go-to has been a whole wheat English muffin piled with avocado, spinach, tomato and eggs cooked with a little feta cheese. Drinking: All the coffee! Right now I’m loving a mix of White Chocolate Macadamia creamer and vanilla almond milk in my coffee. Pinning: My sister told me to make these cookies immediately and to thank her later. I picked up everything I needed this weekend and will be making them soon! Planning: A few road trips for late winter and early spring! Paul’s lacrosse officiating jobs take him to some lovely places and we’re hoping to make at least one mini-vacation out of those trips. What are you loving these days? What’s your favorite breakfast sandwich combo? I love the song, Five More Minutes….thank you for sharing. I had never heard the song before & it was really special because my dad died unexpectedly last Easter Sunday, April 16th. Miss him so much! Aww, I’m glad you enjoyed the song! It’s very touching. That breakfast sandwich looks delicious! I love bacon, egg and cheese. I also love avocado toast. I’ll have to give your combo a try with avocado on my breakfast sandwich. Yay for fun road trips! Isn’t it nice when you can build some fun into a work trip?? I started watching When Calls the Heart, then decided to wait on watching the series with my oldest daughter as it seems like one she’d love too. We haven’t gotten started on watching it together yet, but from the few episodes I caught solo I’m sure it’ll be a really enjoyable one to watch! I’m looking forward to clicking through to see this highly recommended cookie recipe! Yum! Thanks for including the link. 😉 Hooray for upcoming road trips!! Happy planning! Wishing you a lovely week ahead, friend! When Calls the Heart is a great one to watch as a family! I love that idea!